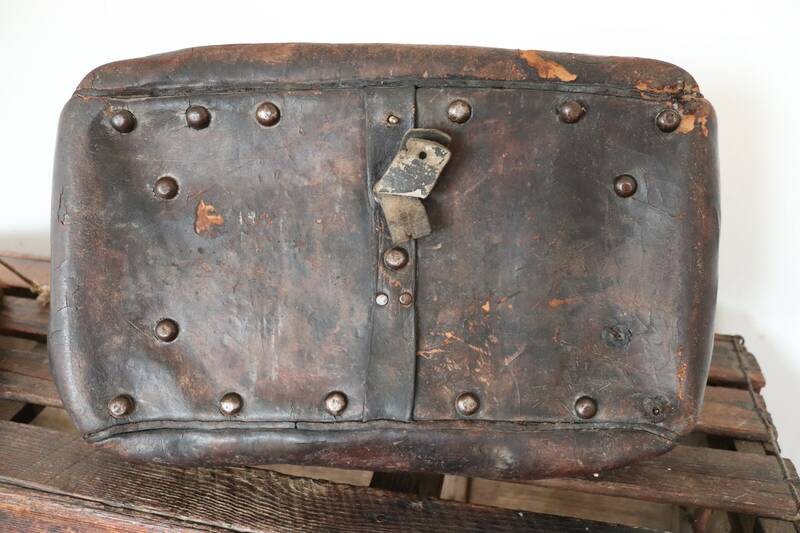 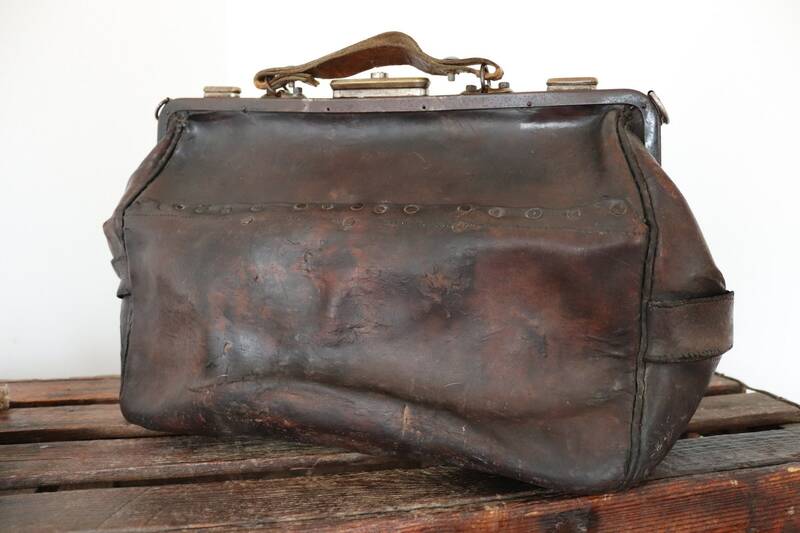 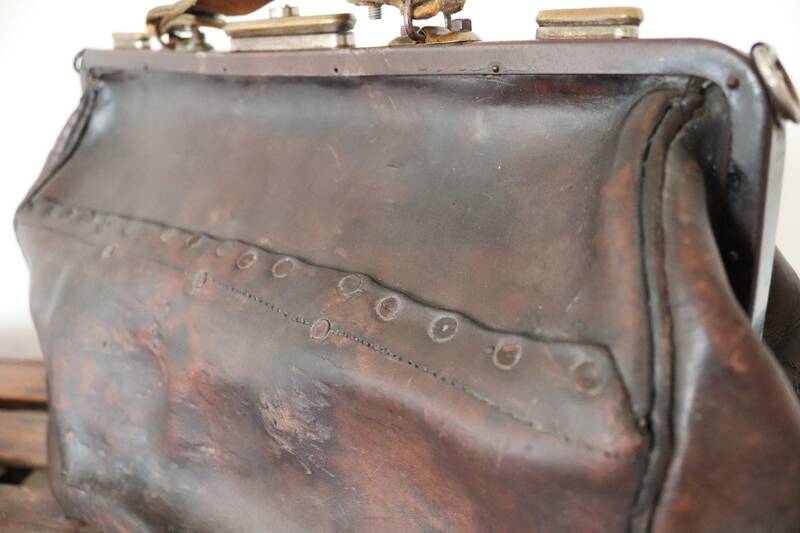 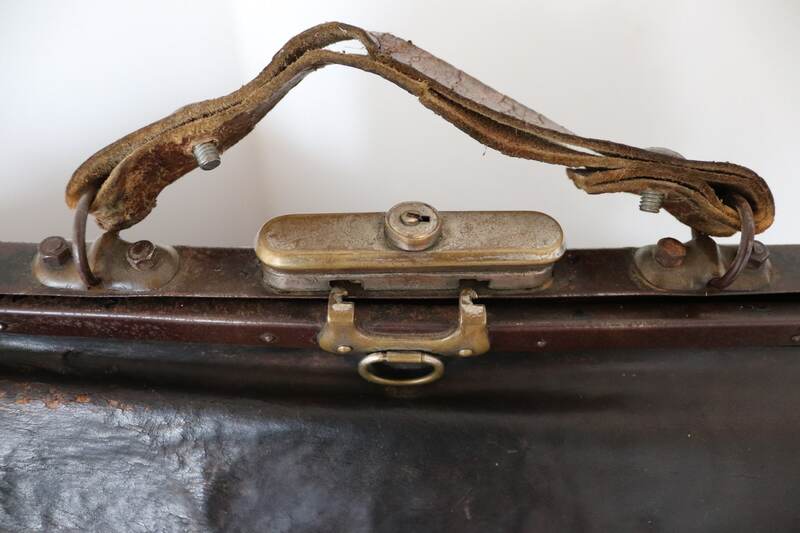 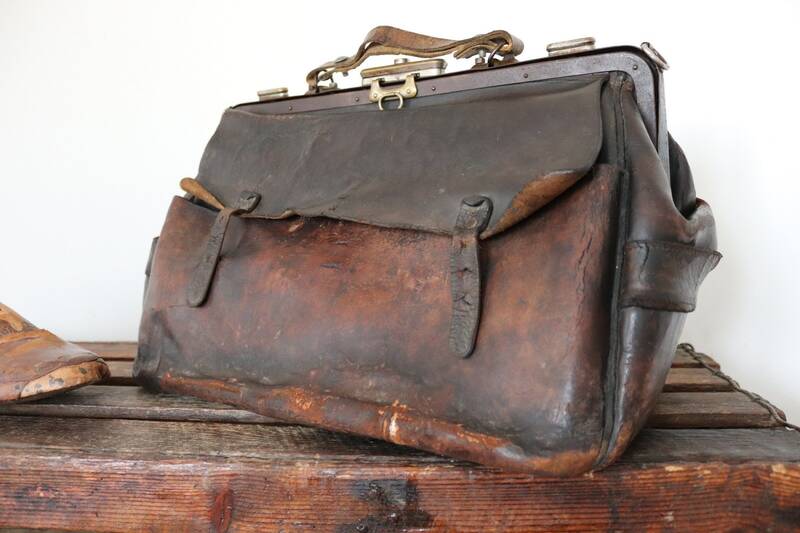 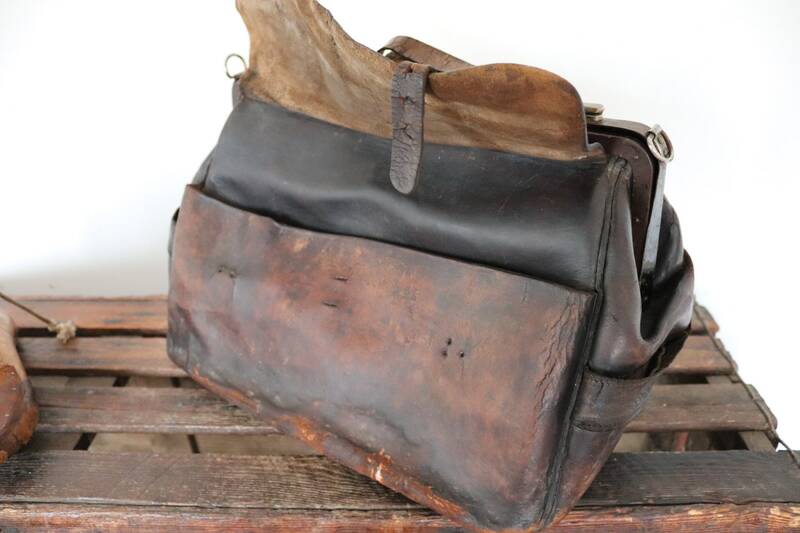 A large, thick brown leather Gladstone bag dating from the early Twentieth century. 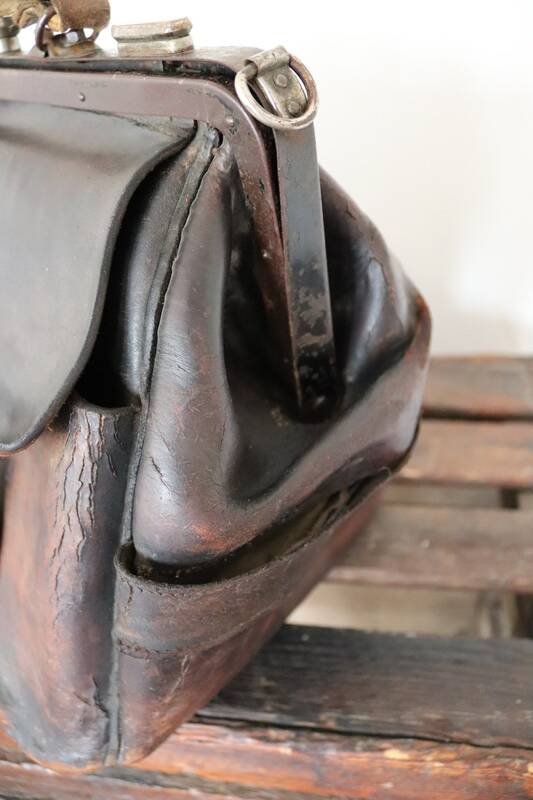 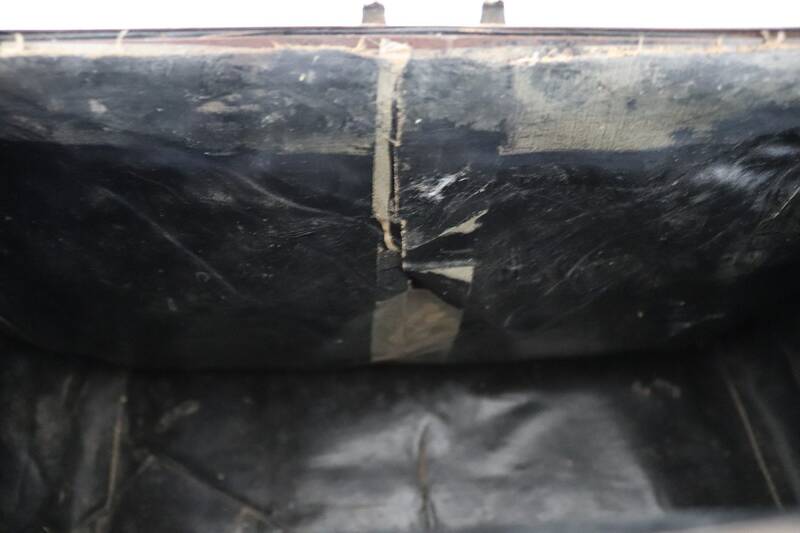 Noted flaws - this bag is suitable for display or a repair project in its current state - only the left hand catch works (I think it would be an easy fix for the other two), scuffs and scrapes to the leather throughout, the handle is a replacement and is held together with two thick screws, missing the front buckles and the original shoulder strap, the back has been riveted together, stitching from the straps on the sides has come away, but doesn't affect the use, missing two studs from the base, the lining has a tear with sticky residue over the top - please see photos. 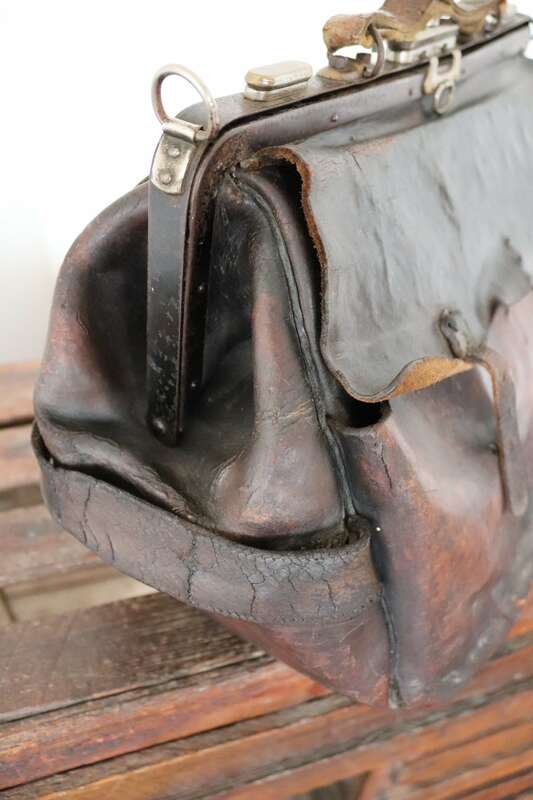 It would look great as a display or prop piece as the leather is really beautiful, or with a little know how, it could be brought back to useful life! 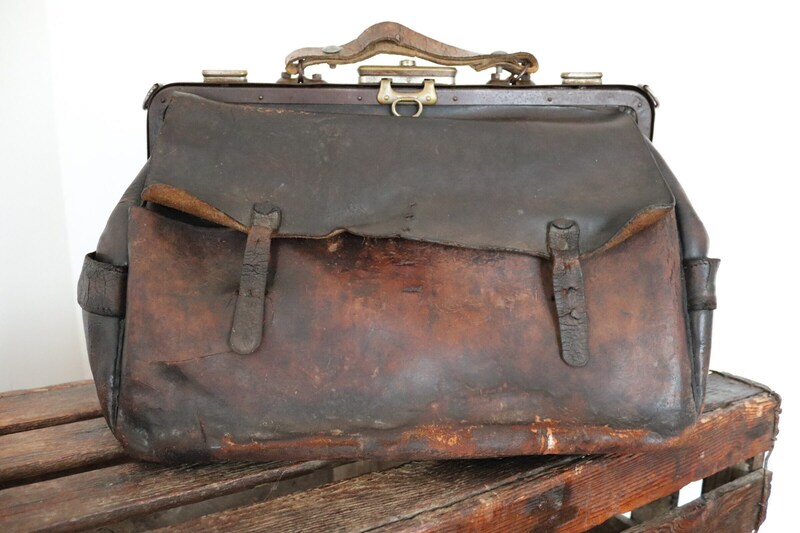 Measures W17" x H10" x D9", weighs over 2kg.